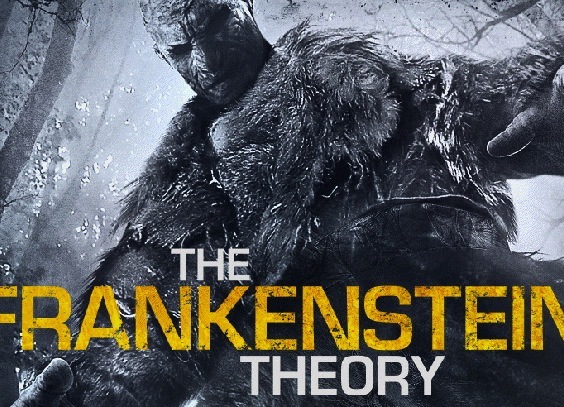 The premise for the The Frankenstein Theory is an interesting one: what if Mary Shelley's novel was based on actual events and the monster has been living out in the Arctic wilderness for close to 200 years? The movie, which is slated to hit theaters and VOD in March, is a Blair Witch Project-style found-footage tale that follows a documentary crew and a controversial college professor John Venkenheim — a subtle homage to Ghostbusters' Peter Venkman? — as they tempt fate by going out in search of the reanimated monster. According to the credits, the creature is played by Roger Morrissey, but there's no money shot of him here, and the more I watch this clip, the more it reminds me of one of those Messin' with Sasquatch beef jerky commercials (if there wasn't enough budget to spring for a Bigfoot costume). For one thing, The Frankenstein Theory monster's roar is pretty similar, and the way that victim bites the dust near the end of the trailer has a kind of vaguely comic feel to it. And is it me, or does that last scene with the frightened woman suggest that the monster knows how to use a video camera? It's not like Blair Witch, it IS Blair Witch. Wack.